Savira Sullu was directed by B Subba Rao and co-starred Radha, C R Simha, Manjula and Lokesh. Film tells the story of young man marrying a girl chosen by a marriage broker, but the broker in order to get her married tells several lies to the groom. Rest of the story is how this incompatible couple try to reconcile. Naanu Nanna Hendthi was directed by D. Rajendra Babu and co-starred Urvashi, Leelavathi, Mukhyamantri Chandru and Umashree. Premaloka was directed by Ravichandran and co-starred Juhi Chawla, Leelavathi and Lokesh. Film is the biggest hit of his career and established him in Kannada industry as a prominent figure. It broke several records at box office and celebrated 100 days. Film tells the story of young college boy who falls in love with a girl but she rejects him for being too shy and common. He disguises himself as a sports biker and sweeps her off her feet. Later she comes to know the true identity and rest of the story is how they face the disapproval of their parents. Ranadheera was directed by V. Ravichandran and co-starred Kushboo, Anant Nag,Lokesh and Jaggesh. Film tells the story of young man kidnapping daughter of influential person and police chasing his gang. Rest of the story is how girl falls in love with him. It was a remake of Bollywood super hit Hero. Anjada Gandu was directed by Renuka Sharma and co-starred Kushboo, Thoogudeepa Srinivas, Doddanna and Mukhyamantri Chandru. Film tells the story of son of a rich businessman. His father sends him to Tavarekere village where his friend resides, he hopes that his friend will teach him some good lessons for his life. Heroine is the daughter of villain and arrogant in her ways towards poor. Rest of the story is how she falls in love with him. Yuddha Kaanda was directed by K.V. Raju and co-starred Poonam Dhillon, Bharathi Vishnuvardhan, Devaraj, Shashikumar and Jaggesh. It is a remake of Bollywood super hit Meri Jung. Film tells the story of young criminal advocate taking revenge against antagonist. His father was an innocent and antagonist was an advocate who is responsible for death sentence of his father. Now it is the time for him to pay price. Yuga Purusha was directed by D. Rajendra Babu and co-starred Kushboo, Moon Moon Sen, Vajramuni and Ramakrishna. Film is the remake of Hindi blockbuster hit Karz. Film tells the story of young man who was murdered by his newly wedded wife. He takes rebirth and has the memory of his previous life. He decides to take revenge against her and goes to her house pretending to be someone else. He traps her into his plan and gets confession in the presence of police authorities. Ramachaari was directed by D. Rajendra Babu and co-starred Malashri, Lokesh, Sumithra and Prakash Raj. Film is a remake of Tamil blockbuster hit Chinna Thambi. Film tells the story of young man who is intellectually not that bright. He accidentally touches the heroine to save her from death but enraged by this her brothers beat him badly. Later heroine falls for his golden heart and asks him to tie a knot. Rest of the story is how he peacefully lives with her challenging her brothers. Halli Meshtru was directed by Mohan-Manju and co-starred Bindiya, Balakrishna, Thoogudeepa Srinivas and Silk Smitha. Film is a remake of Tamil super hit Mundhanai Mudichu. Film tells the story of young widower who has a child from his previous marriage. When he goes to a village he is loved by a mischievous village girl but he rejects her. In order to marry him she goes to the extent of saying that she is raped by him. He marries her as per the order of village elders but vows not to touch her whole life. Rest of the story is how he accepts her love. Gopi Krishna was directed by V. Ravichandran and co-starred Rupini, Sumithra, Lokesh and Avinash. Film tells the story of young man who visits a bungalow pretending to be a music teacher. His friend also comes to the same house in disguise. The girls of the house are chased by some goons to recover a cassette which has crime scenes shot. Rest of the story is about how he reveals his true identity and marries the girl. Sriramachandra was directed by D. Rajendra Babu and co-starred Mohini, Srinath and Vajramuni. It is a remake of Tamil blockbuster hit Kalyanaraman. Film tells the story of young man who was murdered by his own people for his property. He becomes ghost and goes in search of his brother who lives in village. He convinces his brother to visit his house and pretend to be him in order to take revenge. Gadibidi Ganda was directed by V. S. Reddy and co-starred Ramya Krishnan, Roja and Jaggesh. Film is remake of Telugu super hit Allari Mogudu starring Mohan Babu. Film tells the story of young singer who comes to the city searching for the opportunities and helped by a girl. He gains popularity as a singer and she forces him to marry her as a token of gratitude. He subsequently comes to village and marries his childhood sweetheart. Rest of the story is about how he manages two girls. Annayya was directed by D Rajendra Babu and co-starred Madhoo, Aruna Irani and Srinath. Film tells the story of young rich kid brought up by his step mother. His father married the antagonist with a hope of providing his son a mother. But his step mother is a wicked person and wants to take all the property in her name. Hero marries a smart girl who comes to know her games very soon, she starts to play games against her. In order to get the property she goes to the extent of killing her grandson. Hero comes to know the true color of his step mother and writes all property to her name. But at last she was betrayed by her own people and she starts to love her step son more than any. 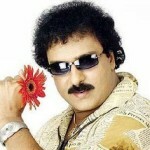 Mane Devru was directed by V. Ravichandran and co-starred Sudharani, K. S. Ashwath and Tennis Krishna. Film was a remake of Tamil super hit Mouna Geethangal. Film tells the story of married couple who were separated long back. One day hero sleeps with another girl and confesses the same to his wife begging for her forgiveness, she could not forgive him and leaves his house forever. After many years they meet again while working in a company and she has a son who has his mannerisms. Rest of the story is how they reunite. Putnanja was directed by V. Ravichandran and co-starred Meena, Umashri and Lokesh. Film tells the story of young village head who falls in love with his relative. She is returning from USA after completion of education. But her mother is not ready to accept the marriage proposal of this village head because she wants her to get married to rich businessman. Hero impresses her and able to marry her but she isn’t aware of village culture and once burns farmer plough which enrages him and slaps her. She leaves their house and goes to live with her mother, rest of the story is how she comes back to live with her child and husband. 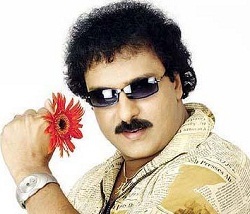 Sipayi was directed by V. Ravichandran and co-starred Soundarya, Chiranjeevi, Tara and Umashri. Film tells the story of young angry man who loses his temper easily. His marriage is fixed with a girl since from the beginning but her father bets her in sheep fight and loses his daughter to son of landlord. Now the landlord wants her to marry and hero comes between them to take his love. Rest of the story is how he comes to know that she doesn’t love him at all and only has fear for him. Kalavida was directed by V. Ravichandran and co-starred Roja, Heera Rajagopal and Raghuvaran. Film tells the story of an artist who lives a very simple life. Cheluva was directed by V. Ravichandran and co-starred Meena, Gouthami and Suman. It is a remake of Telugu blockbuster hit Hello Brother. Film tells the story of twin brothers brought up in two different environment, one is brought up by a thief and other is brought up by his father. They have a strange connectivity when they are physically near, one can feel the pain of other. Rest of the story is how they become friends and the comedy created by mix up. Yaare Neenu Cheluve was directed by D. Rajendra Babu and co-starred Sangita, Heera Rajgopal, Vishnuvardhan, Ramesh Aravind and Jaggesh. It was a remake of Tamil super hit Kadhal Kottai. Film tells the story of young man falling in love with a girl without even seeing her, their relationship started when she lost her education certificates and he sends them back. He moves to Madras due to some work and they get united. Mangalyam Tantunanena was directed by V. S. Reddy and co-starred Ramya Krishna, S. P. Balasubrahmanyam and Sumithra. Film is a remake of Telugu super hit Pavitra Bandham. Film tells the story of young man returning from United States, his father is a millionaire and wants him to marry. But the son is not happy with the present marriage system and puts a condition that he will marry only for one year and if he feels good about it he will continue the marriage contracts further. His father convinces his employee who is in need of money to accept the marriage condition. During their marriage she takes care of him with care and love. After one year of marriage she leaves their house and goes to her parents. Rest of the story is how he falls in love with her and unites with her. 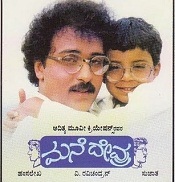 Preethsod Thappa was directed by V. Ravichandran and co-starred Shilpa Shetty, Prakash Raj, Lokesh and Tennis Krishna. Film is a remake of Telugu super hit Ninne Pelladata released in 1996. Film tells the story of young couple falling in love, they decide to convince their parents. Hero’s parents happily agree to their marriage but girl’s parents didn’t approve their marriage and take her forcibly with them. Rest of the story is reason behind their disapproval and how they convince elders. 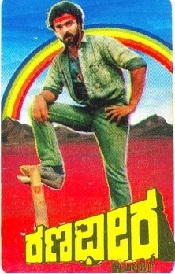 Kanasugara was directed by Karan and co-starred Prema, Shashikumar and Mandya Ramesh. It is a remake of Tamil super hit Unnidathil Ennai Koduthen released in 1998. Film tells the story of young man falling in love with a girl, he encourages her talent in music and she becomes very popular in the industry. But later she treats him without respect and forces him to leave her house. Rest of the story is how she realizes her mistake and falls in love. Malla was directed by V. Ravichandran and co-starred Upendra »”>Priyanka Upendra, Mohan Shankar and Umashree. Film tells the story of young flower seller falling in love with a girl. In flashback the enmity between two families is shown. Film was a biggest hit of 2004. Drishya was directed by P. Vasu and co-starred Navya Nair, Prabhu Ganesan and Asha Sarath. It is a remake of Malayalam film Drishyam and in Kannada also it became huge hit and celebrated 100 days run in theatres. Film tells the story of a family head trying to save his family members from a murder. Police officials try to find the murderer behind the crime but hero tries to spoil all their efforts.